This entry was posted in Writing and tagged Blogger's rules, Croit, Eats Shoots and Leaves, Lynne Truss. Blogs that have a point are probably easier to write. But I think a lot of people are fine with a rambling blog, as long as it has good writing. Also, I totally need to re-read Eats Shoots and Leaves. And, yep. Me too. 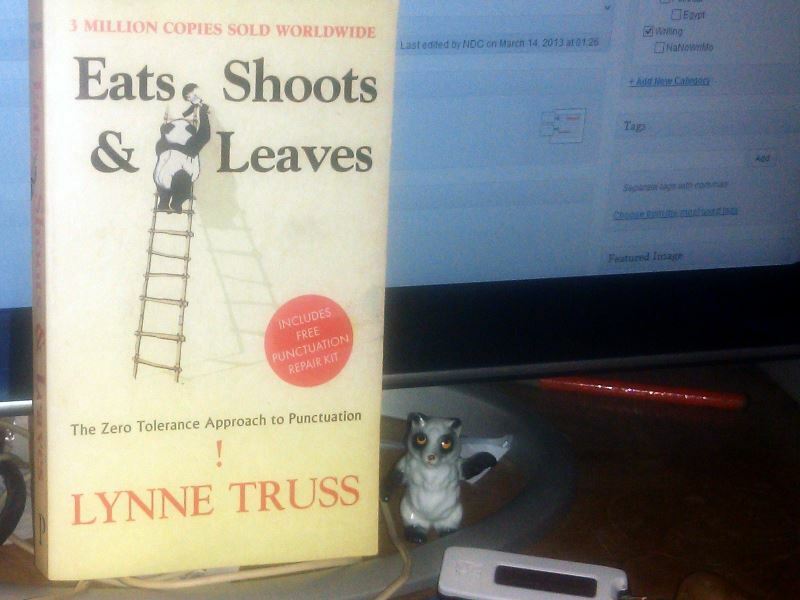 Re-reading Eats, Shoots & Leaves should be a yearly requirement. By the way, I adore your blog’s title!